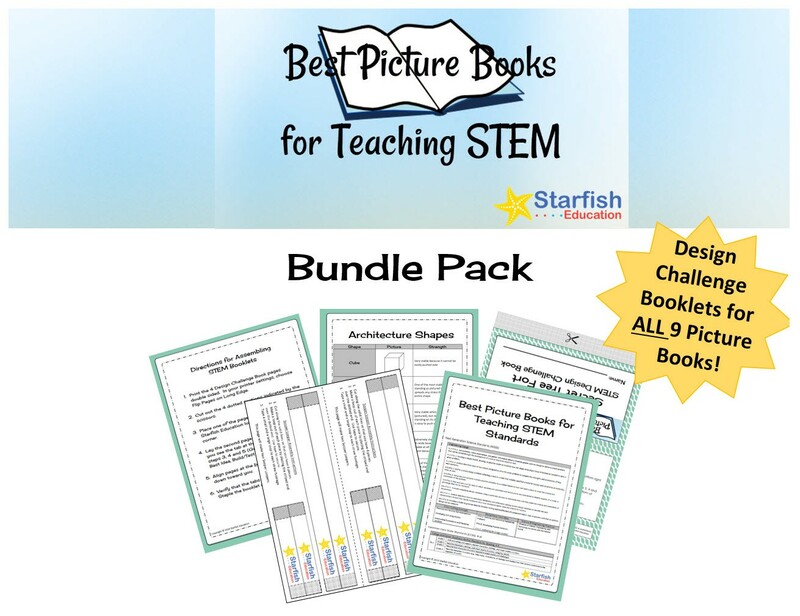 Design briefs, student design challenge booklets, and additional materials are included for all 9 featured books. (69 pages). 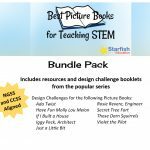 Product Description: The Best Picture Books for Teaching STEM Bundle Pack includes ALL 9 design challenges in the series! Students work in teams to design, build and test solutions to help characters in the story. 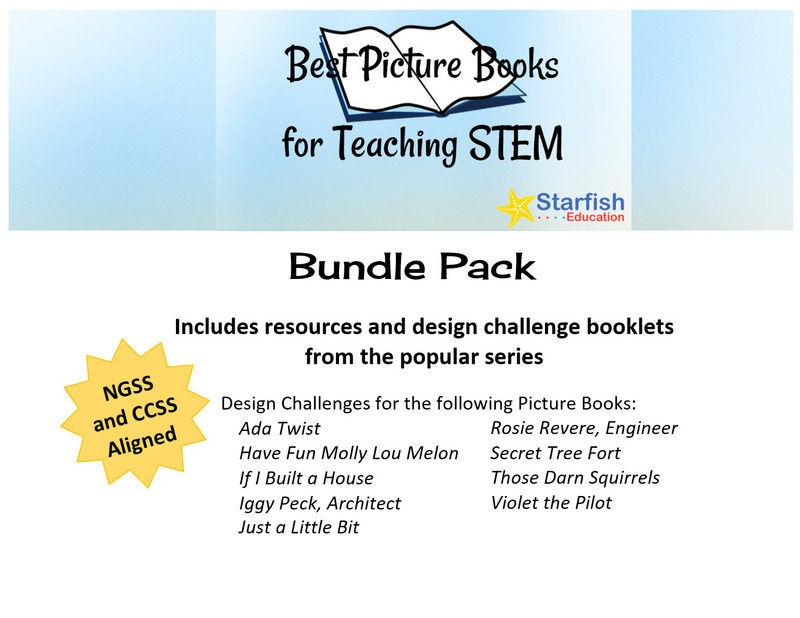 By using NGSS skills and the Engineering Design Process, students will be sure to find a successful solution. 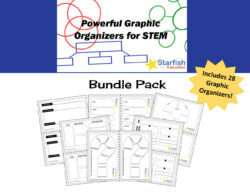 Included design challenge flip books are easy to assemble (instructions are included) using just scissors and a stapler and only require 2 pages per student/team. These design challenge complements nine select picture books, which can be purchased separately. 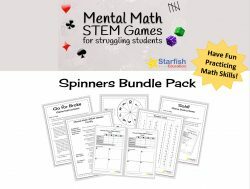 Lane specializes in STEM education, curriculum design and professional development and makes teachers’ lives easier through innovative, standards-based STEM lessons. 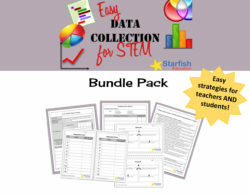 Sign up for the Starfish Education Newsletter! 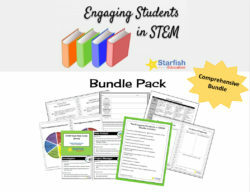 Monthly resources to help you implement STEM and boost student achievement! 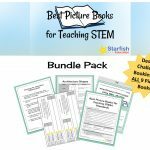 Plus...get my FREE STEM guide just for signing up! 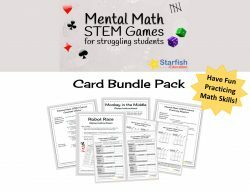 Subscribe to the Starfish Education Newsletter!